Directed by John Ford. With Henry Fonda, Jane Darwell, John Carradine, Charley Grapewin. A poor Midwest family is forced off their land. 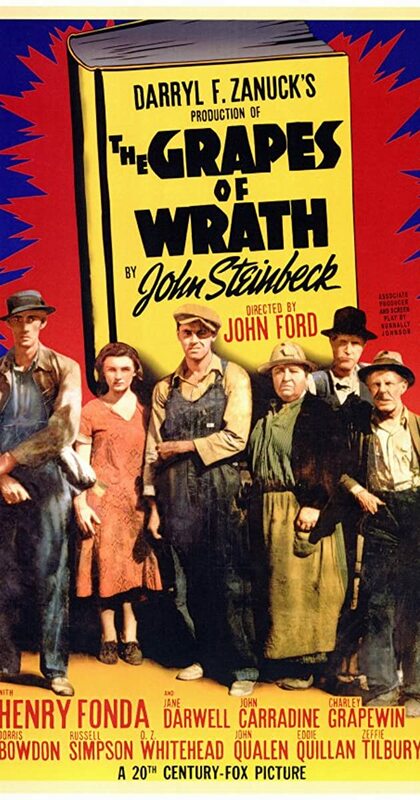 They travel to California, suffering the misfortunes of the homeless in the Great Depression.